Bucharest, April 2019: The modern retail stock in Bucharest remained constant in 2018, at 1.2 million square meters, a level 7% higher than in the Central-West region of the country (16 counties in Transylvania and Banat), which reached 1,18 million square meters, and double the stock of the region of Moldova (eight counties), which reaches 595,000 square meters, according to the Bucharest Retail Market and Romania Retail Regional Cities reports, launched by the real estate consultancy company Cushman & Wakefield Echinox. A fourth analyzed region is the South (16 counties, without Bucharest – Ilfov), where the modern retail stock has 735,000 square meters, therefore the total area of ​​malls, retail parks and commercial galleries at a national level is situated at 3.65 million square meters, resulting in a density of 191 square meters / 1,000 inhabitants. Considering the projects currently under construction, deliveries of commercial spaces will accelerate this year up to 140,000 square meters, while Sibiu, Timişoara and Bucharest will attract 70% of the deliveries. The Festival Centrum mall and the extension of Shopping City Sibiu will be delivered in Sibiu, the Iulius Mall project will be expanded in Timisoara, while the expansion of the Colosseum and Veranda projects is expected in Bucharest. New modern commercial spaces will also be delivered in Zalău, where the Zalău Value Center project is expected to be inaugurated, and also in Satu Mare and Buzău, where existing projects will be expanded. 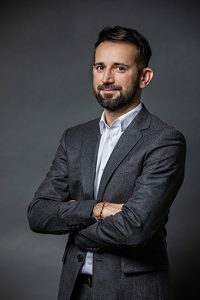 In 2019, the most active developers will be NEPI Rockcastle, Iulius Group and Prime Kapital, three of the biggest developers and owners of commercial space on the local market. Last year, new spaces were delivered in Romania, having a cumulative area of ​​approximately 104,000 square meters, while no new retail project was completed in Bucharest. At a city level, the most densely populated areas remain Suceava (1,167 sq m / 1,000 inhabitants) and Oradea (1,014 sq m / 1,000 inhabitants), while in the primary cities with a population of over 250,000 inhabitants, this indicator varies between 380 sqm / 1,000 inhabitants in Craiova and 692 sq m / 1,000 inhabitants in Timişoara. The average vacancy rate for shopping centers in Bucharest declined from 3% to 2% over the past year, while at a regional level it is situated around 4% in the southern and eastern areas and 6% in the central-western part of the country. It is thus expected that the low vacancy rate within the dominant shopping centers will put pressure on rent levels.